Women born in the first part of the 20th century envisaged futures for themselves that would have struck a chord with both their 19th century grandmothers and 21st century granddaughters. Living in a village is a moveable feast. For some, raising a family away from the sound and fury of the city is only sustainable if the front door is kept firmly closed to all but invited guests. Others find much to admire in the camaraderie to be encountered in the vibrant communities of fictional villages such as Raveloe, Lark Rise and Cranford. If Mary Beilby, (who died on 20th September, 2012 at the Queen’s Medical Centre) had been born in the 16th century, she would have slotted perfectly into a Renaissance world where politics and literature rubbed shoulders with exploration; art and science. Remembrance Day 2011 was a milestone for a custom that seems as embedded in the blood and bone of the nation as 1066. 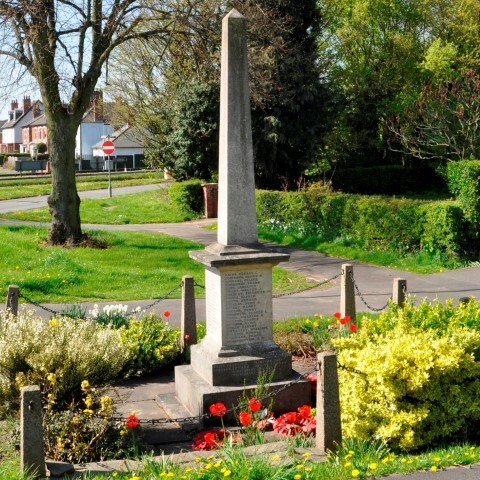 In fact, Remembrance observance is relatively recent; inaugurated in 1919 to commemorate those who gave their lives in the First World War. Sadly, the 1914-18 war was not the war to end all wars, and during the course of the 20thcentury, ceremonies at the Cenotaph and memorial services in villages, towns and cities throughout the United Kingdom widened to encompass the Second World War; the Falklands War and wars in Afghanistan and Iraq. Schooldays are the best days of your life’ is a familiar phrase and one with about as much credibility as ‘eating fish gives you brains’ or ‘ carrots will make you see in the dark’. But the response to my article about Westernmere School (Derby Telegraph Bygones; January 17th 2011) makes me think that whoever dreamed it up was on to something! Bine and Nancy Payne’s wedding photograph in the Ockbrook of 1938, symbolises many aspects of a century caught between modernism and the dead hand of Victorian Britain. The couple married when the country teetered on the brink of World Ward Two and their children, Roger and Angela were war babies. The Christmas post brought an early treat in the form of a letter from Angela Fretter of Banffshire who enclosed some information about the life of her father. Bine Payne was the dashing bridegroom of the wedding photograph published by The Derby Telegraph that launched our writing project. In 21st century Britain, the definition of ‘family’ confounds description and is capable of infinite variety! But, as Tony Entwhistle recalls, in 1950s Borrowash, it meant Mum, Dad and 2.5 children. His family did not fit that description and he is keen to pay tribute to a ‘terrific’ mother faced with difficulties not of her making, and a social climate still in the grip of ‘Victorian values’. Like many villages, 21st century Borrowash unites the bustle of the present with the romance of the past. We bear the names of our ancestors and walk their streets. Some of us live in their houses.